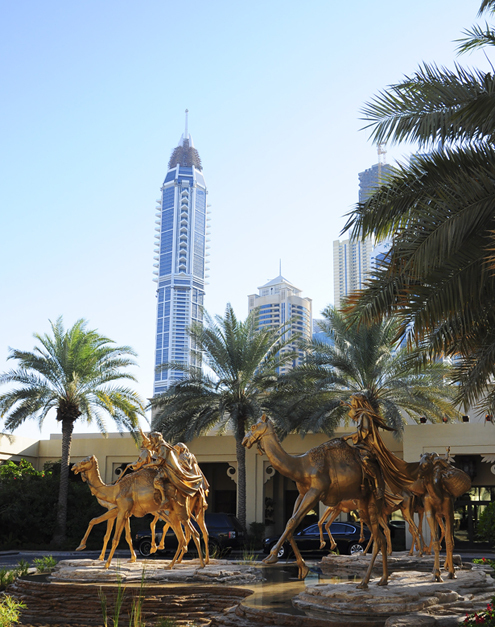 It wouldn’t be a trip to Dubai without checking out its shopping malls. First up is the Mall of the Emirates. 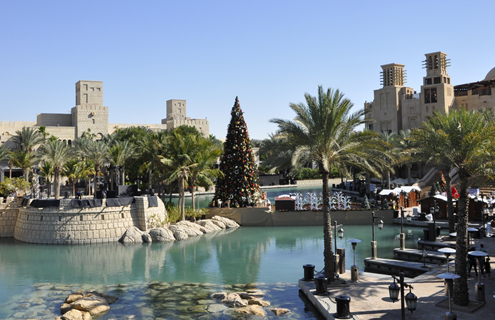 Opened in 2005, this entertainment and shopping “resort” covers over 2 million square feet. 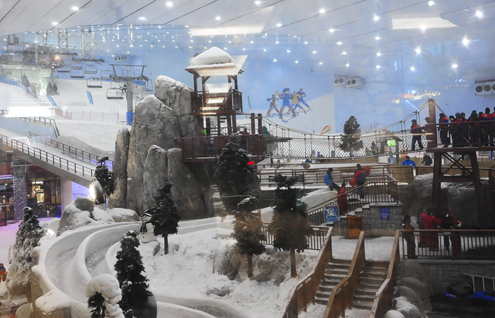 Apart from the countless retail outlets, The Mall of the Emirates also has a 14-screen cinema, two hotels, a community theatre, and…Ski Dubai. 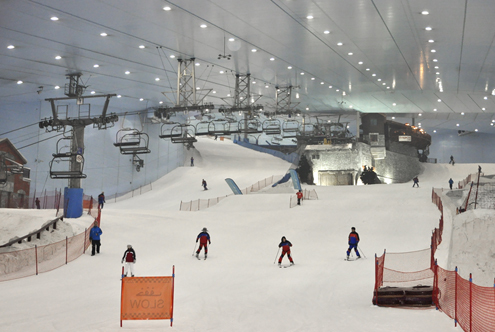 Ski Dubai is the Middle East’s first indoor ski slope that offers the skier different runs of various difficulty. 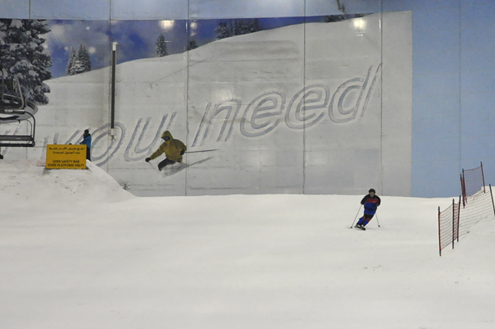 You can rent everything (except hats & gloves) and then it’s off to the slopes to ski on real snow in the desert. Only in Dubai. From snow to sand in a couple of hours? Yup. Only in Dubai. 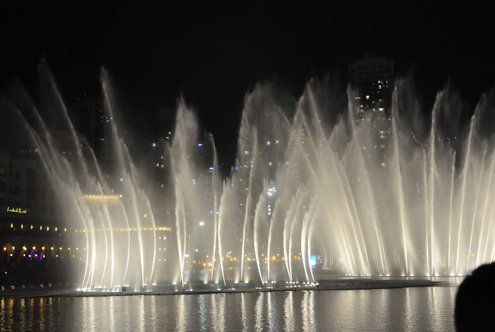 Officially the largest mall in the world by area (over 12 million square feet), The Dubai Mall will not disappoint. 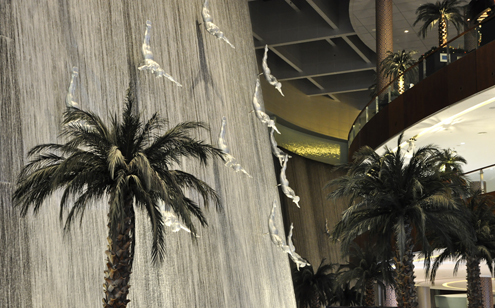 With over 1,000 retail outlets, a 22-screen cinema, a magnificent aquarium, an Olympic-sized ice rink, an indoor theme park, and The Waterfall (above) that travels over all four levels, this mega-mall (opened in 2008) will keep you occupied for hours. It is truly a shopper’s paradise. the tallest building in the world—The Burj Khalifa. At over 2,716 feet, the building’s spire seems to touch the sky. We traveled the 124 floors (by elevator, of course) to the observation deck for some extraordinary night views of the city. 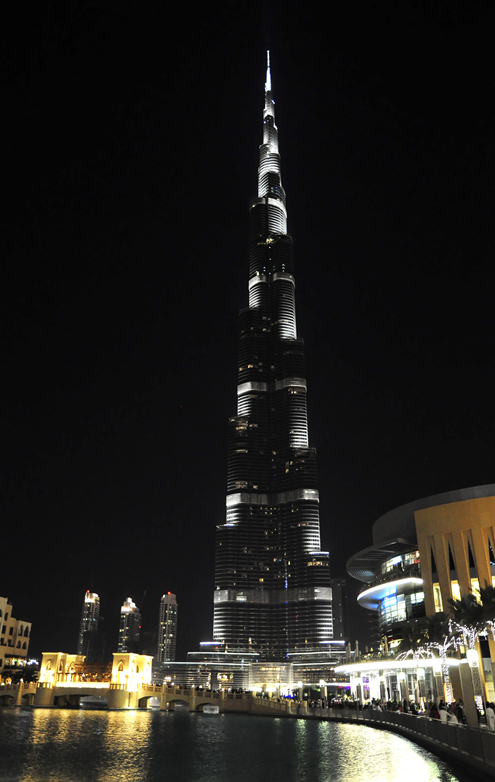 The Burj Khalifa can be seen in the film Mission Impossible 4—Ghost Protocol, with Tom Cruise climbing the outside of it. Impressive, to say the least. 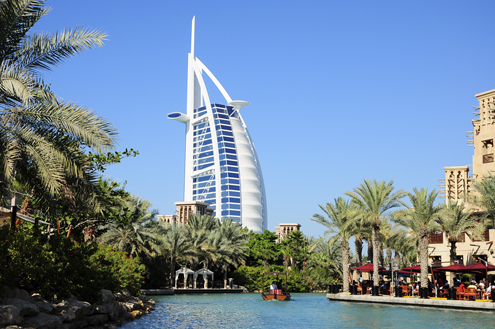 Likely the most recognizable and most photographed landmark in Dubai, the Burj Al Arab is an impressive structure. Often referred to as a seven-star hotel, this luxury “sail of a ship” rests on an artificial island off the coast of Jumeirah Beach. From what I understand, access to the property is granted only if you are a guest at the hotel or dining in one of the restaurants, so view it from afar and take in its beauty (just like we did). 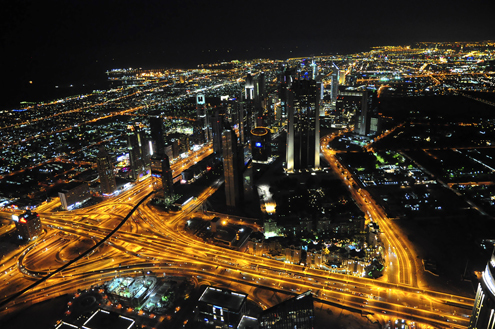 As stated above, Dubai is a fascinating place. 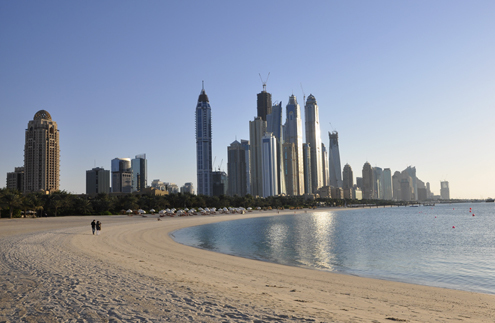 From a fishing port only 40 years ago to a city with an ever-changing skyline, Dubai is a city on the move. We definitely enjoyed the experience.